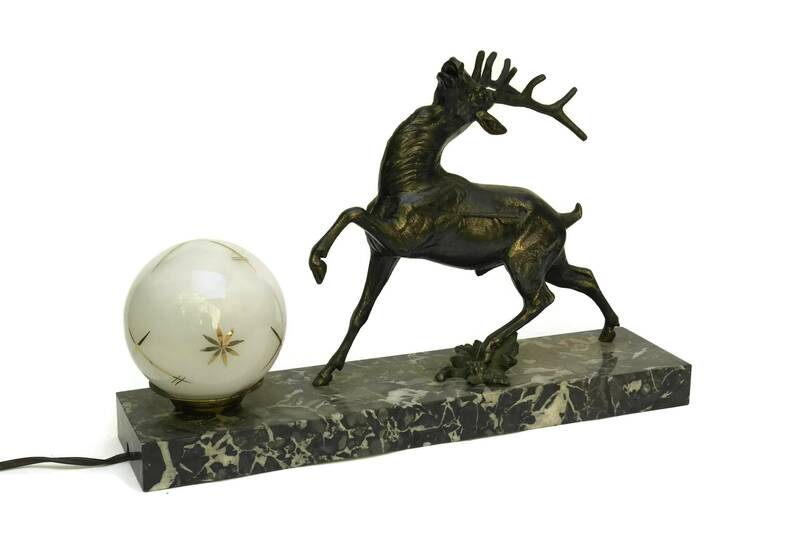 A magnificent Art Deco deer statue table lamp manufactured in France during the late 1930s. 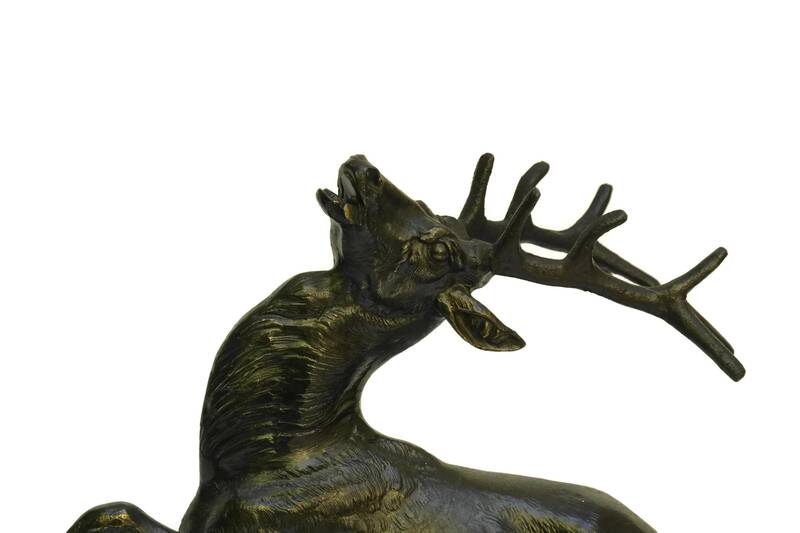 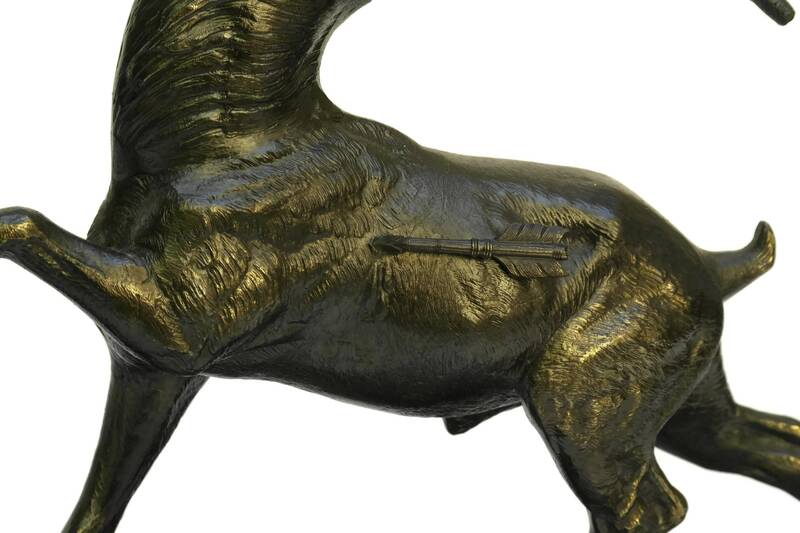 It features a large stag figure who has been hit by a hunter's arrow. 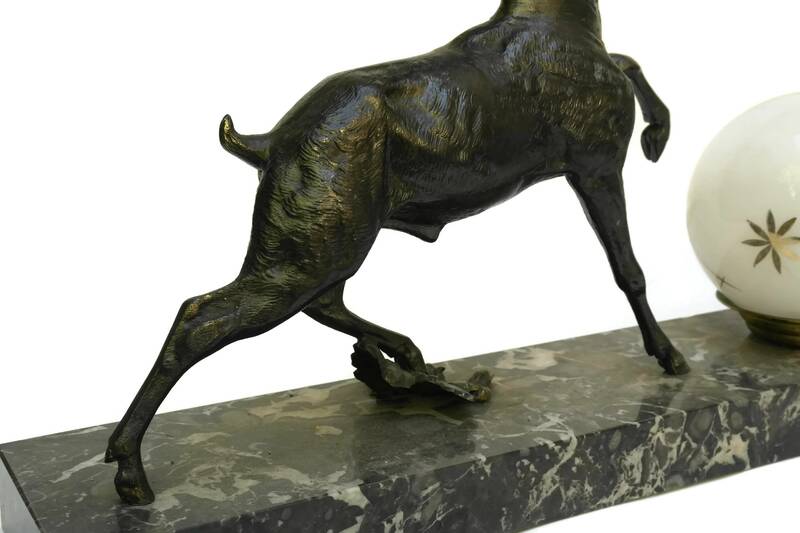 The figure has been finely cast from spelterware and rests on a polished marble base. 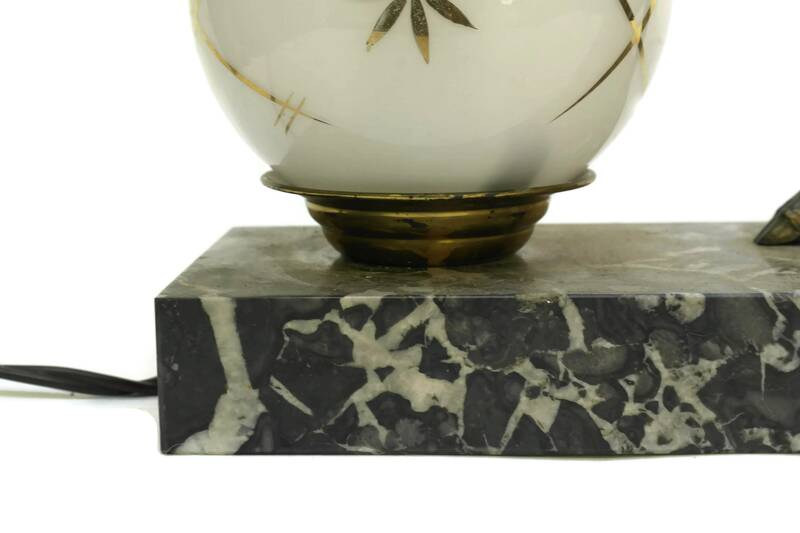 The light fitting features an opaque glass sphere decorated with gilt patterns. 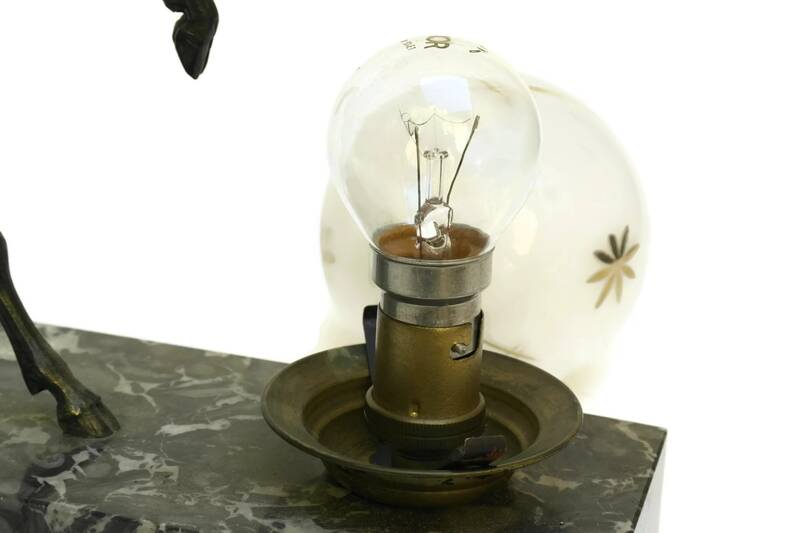 There are no visible signatures or manufacturer's marks. 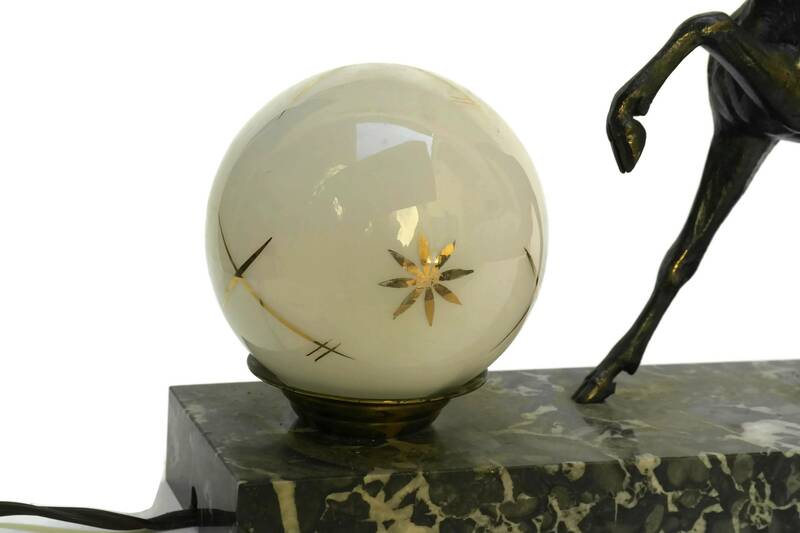 15" Long x 10" High x 3.5" Wide (38 cm x 25 cm x 9 cm). 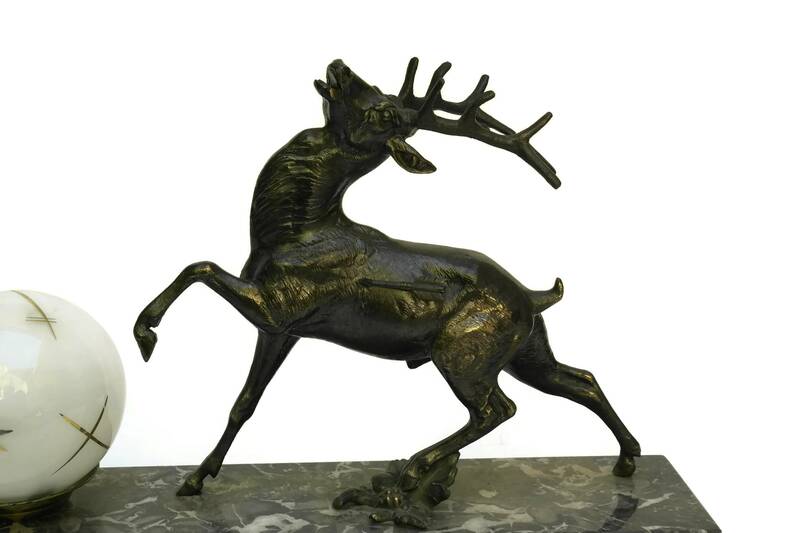 The deer figure is 9" Long x 8" High (23 cm x 20 cm). 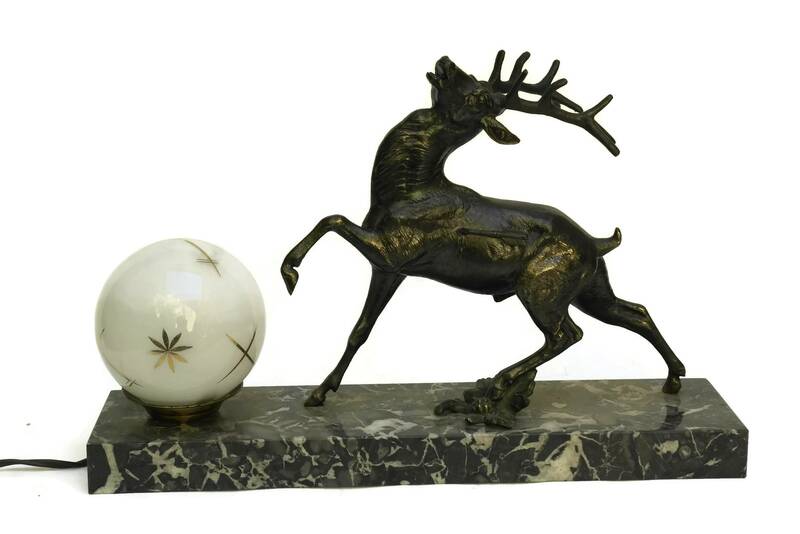 The Art Deco stag lamp is in very good condition and is in working order. 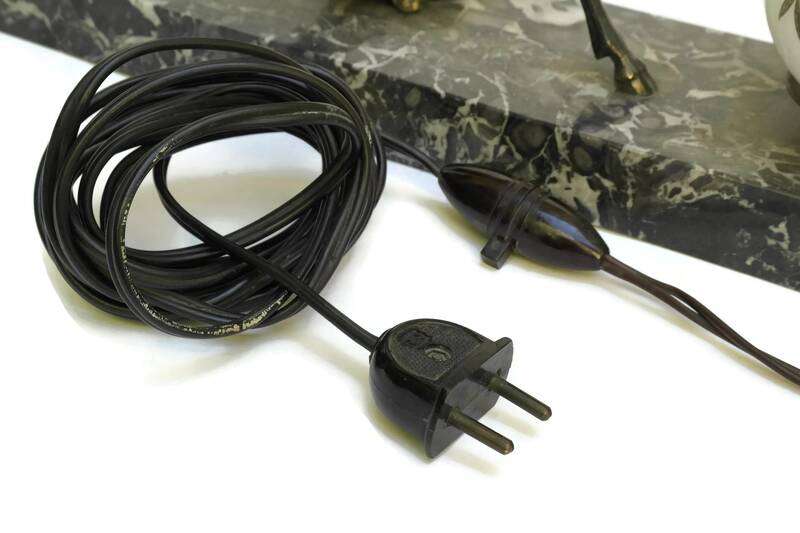 As it has its original wiring it is strongly reccomended that the electrical fittings be changed to meet modern safety standards.